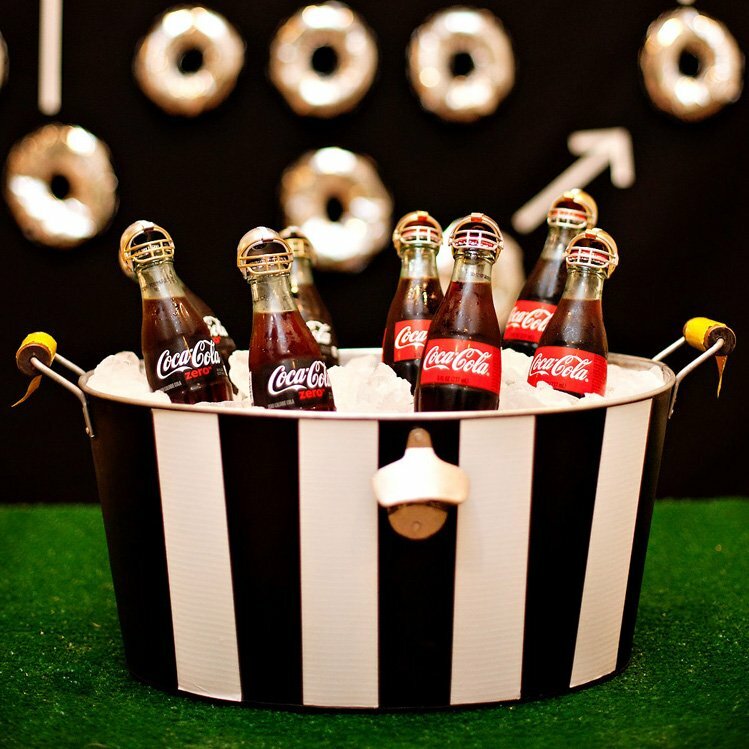 The biggest football day of the year is coming up this weekend – are you ready?! 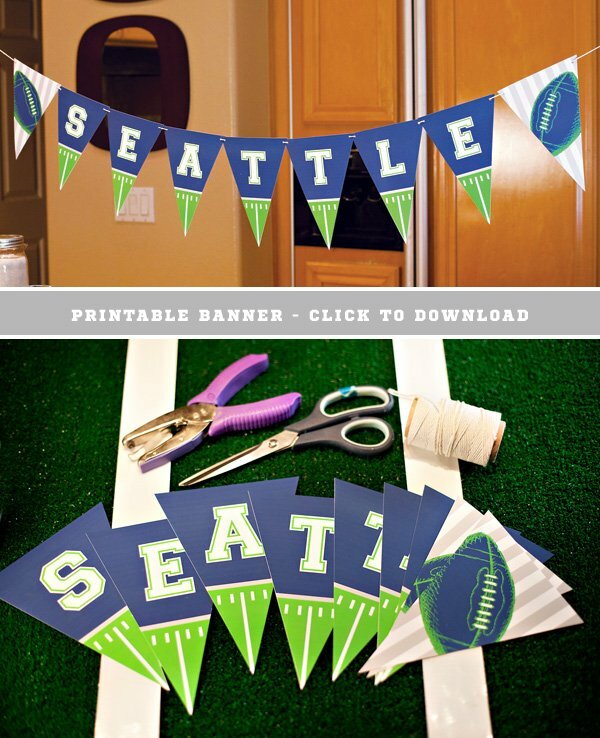 If you’re hosting a football viewing party yourself, I’ve got a few fun goodies to share with you today… starting with these free printable SEATTLE and NEW ENGLAND banners. 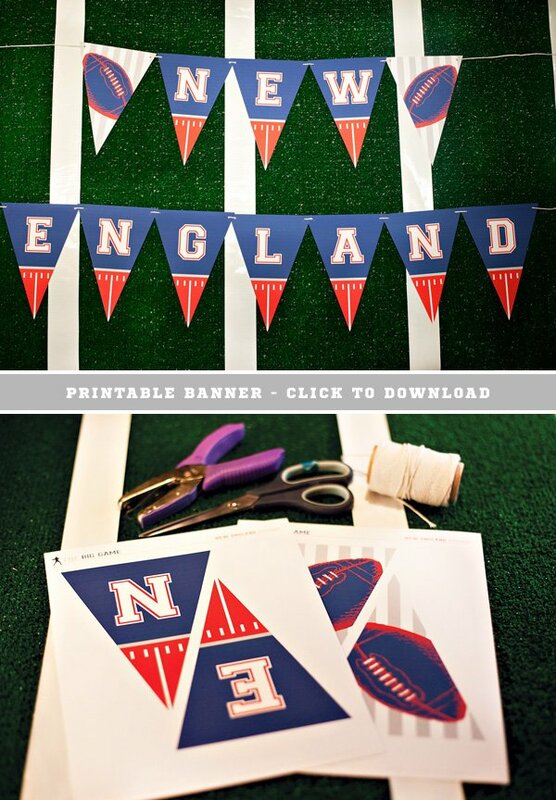 To make each of the banners, simply print the PDF and cut out the panels. 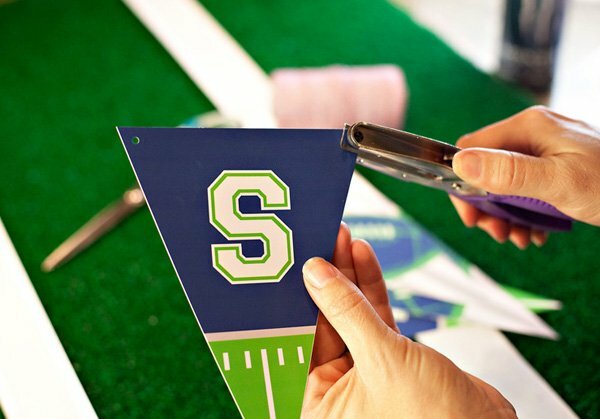 I like to use a paper cutter to keep the edges extra straight, but you can also just use scissors. 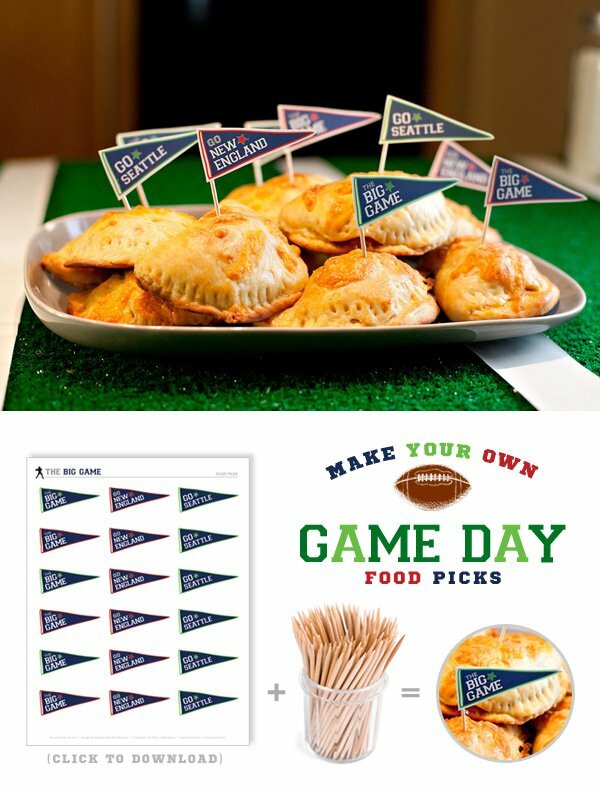 I’ll be using these food picks to garnish the Cheeseburger Turnovers from our recent partner program with Krusteaz®, which featured a handful of recipes made from their tasty new Flatbread Mixes. 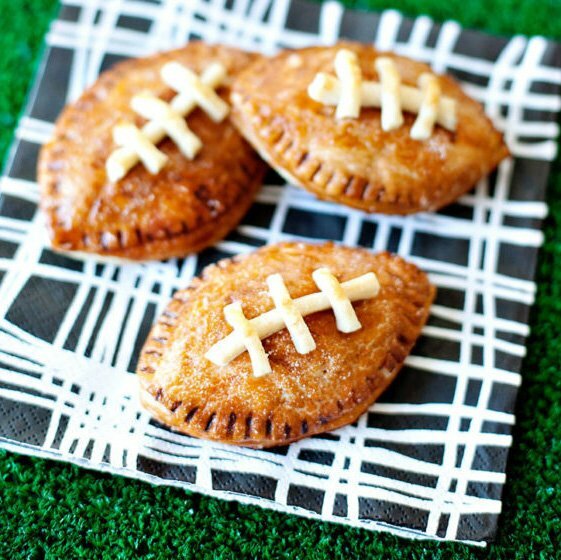 While these turnovers aren’t difficult to make at all, there are a few steps to follow in actually forming the turnovers, so Sonny & I shot a little tutorial of that part of the process to share this time around as well. 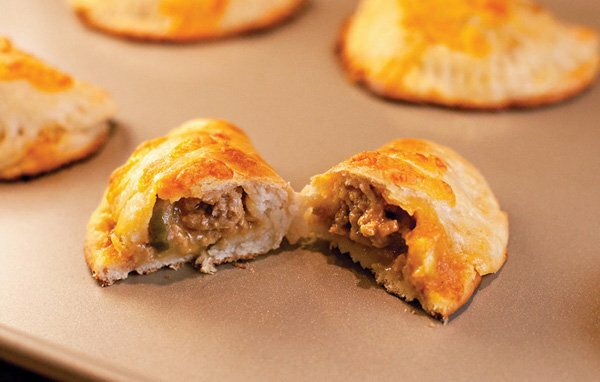 And as a side note – I usually use regular ground beef for these, as called for in the original recipe, but I decided to try them out with ground turkey this time around since that’s what we already had on hand in our freezer. The recipe works great either way! 1. 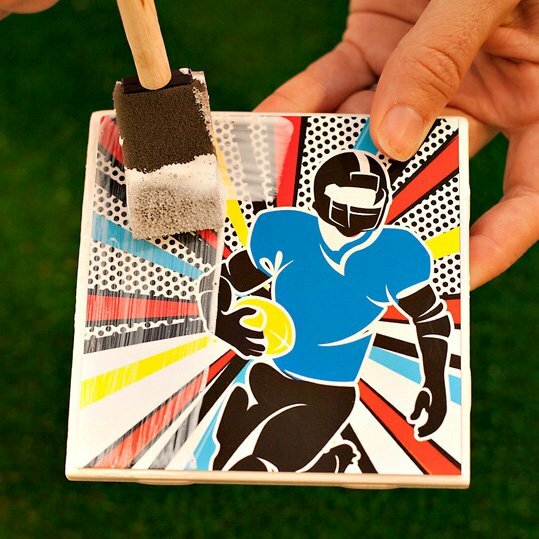 Once your dough has risen, pat it out on a well-floured surface. I usually start with about half of the dough at a time and use the heel of my palm to flatten it out first, then continue patting it out until it’s somewhere between 1/8” to 1/4” thick. 2. 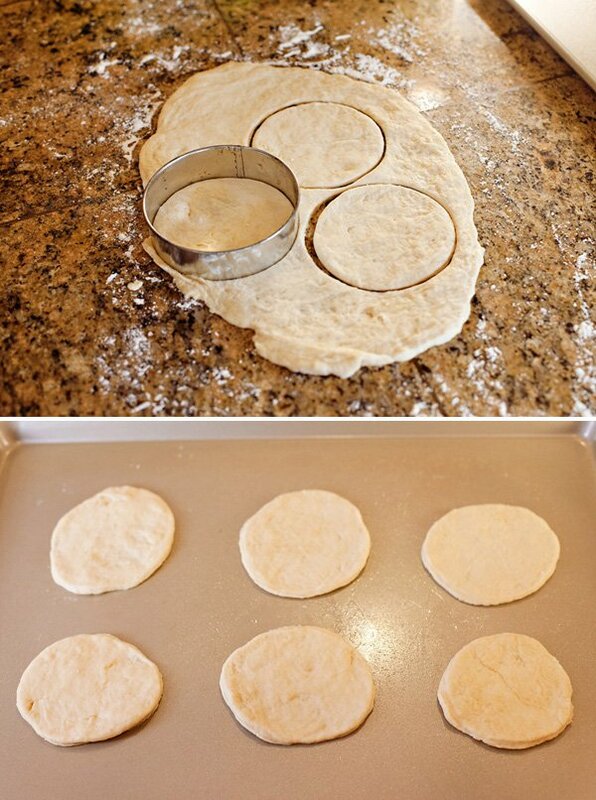 Use a 4” circle cookie cutter to cut circles from your dough, then transfer them to a baking pan that’s been lightly treated with cooking spray. 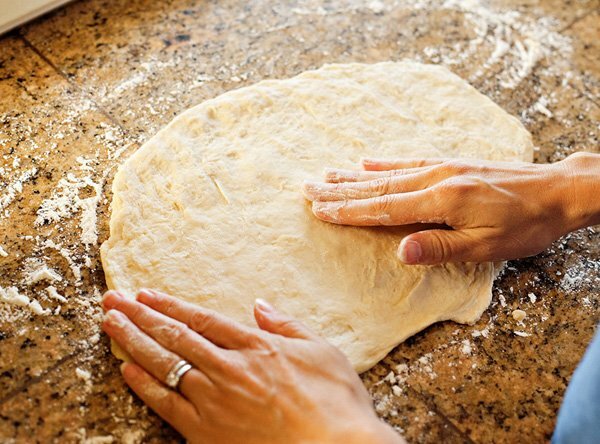 Roll the excess dough back up, pat out, and repeat the process until you’ve made circles from all of your dough. I usually cut 12-14 dough circles, depending on the variation in the thickness of my dough. 3. 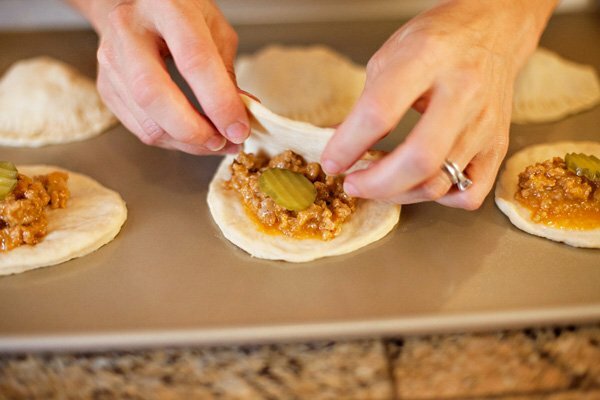 Add about a tablespoon of your burger mixture to each dough circle, then place a pickle chip on top. 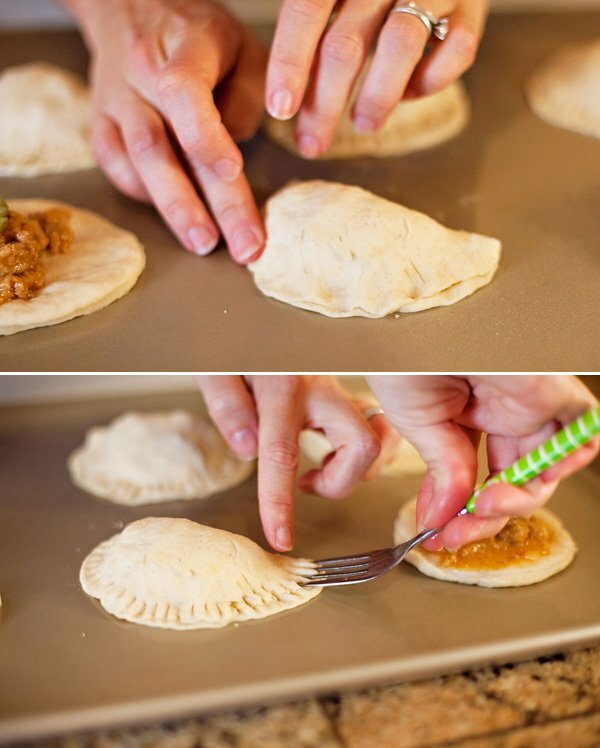 Tip: Instead of putting the mixture right in the middle of the dough, cheat it to one side a bit. 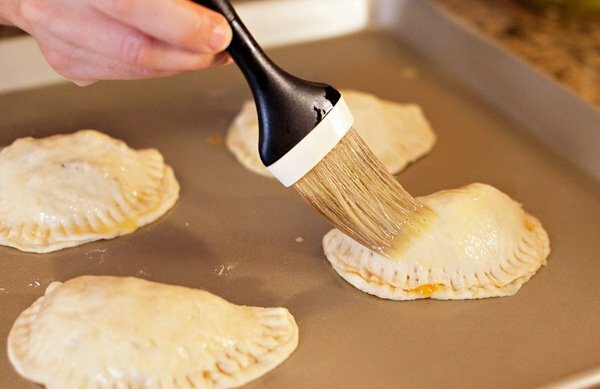 This will make it easier to fold the dough over later. 7. 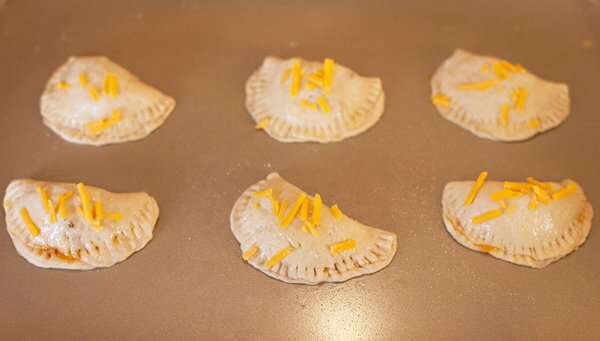 Sprinkle the turnovers with a bit of cheese, then pop them in the oven for 10-12 minutes. 8. 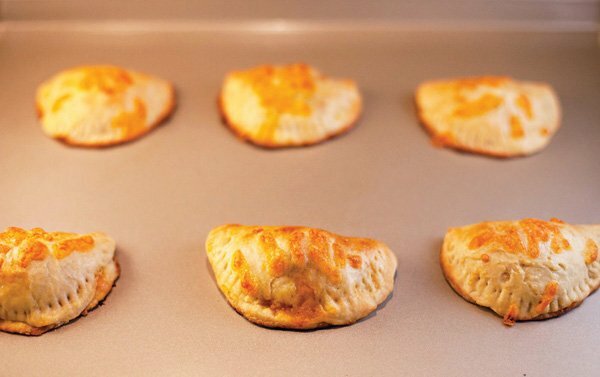 Remove them from the oven, let cool, and enjoy! 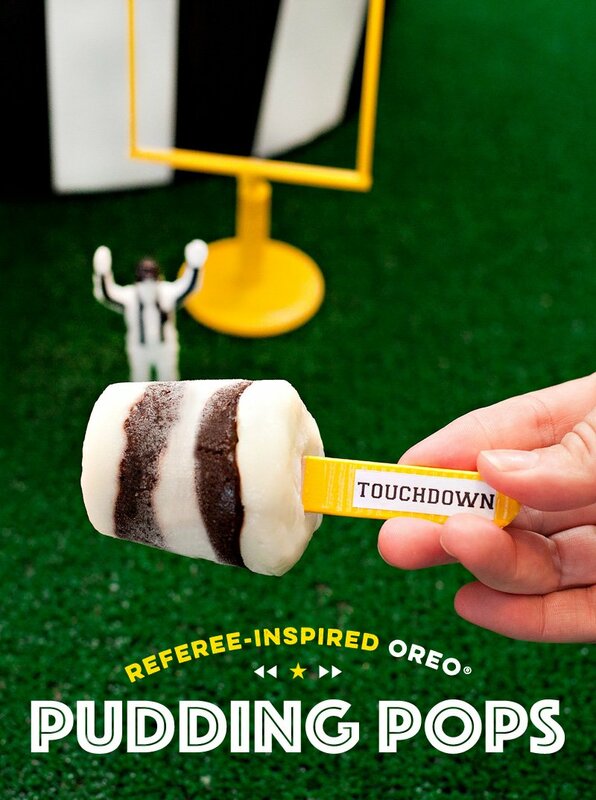 Happy football weekend! 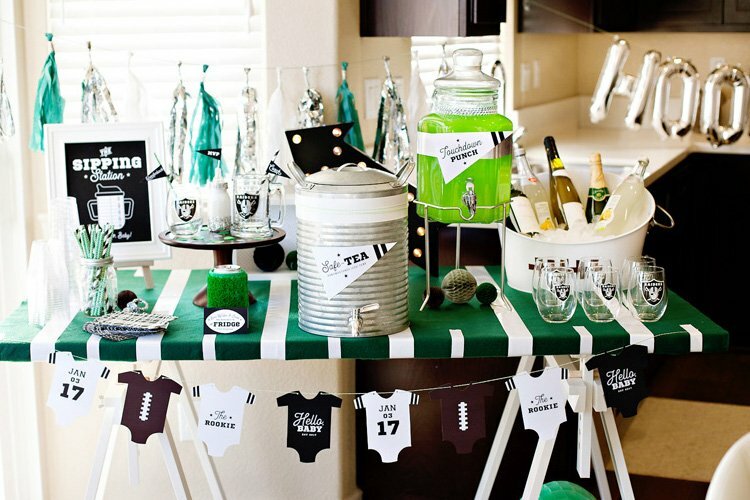 If you’re on the hunt for inspiration, check out more of my football party ideas and recipes right here. Please note: These free printables – and this post – are courtesy of HWTM and are separate from my recent collaboration with Krusteaz! 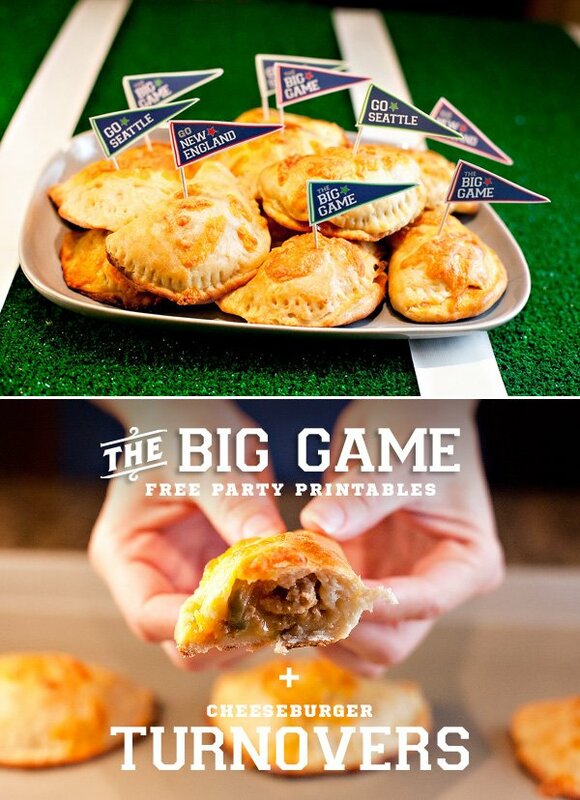 Love the banners and the mini turnovers look so YUM! !